Protests take part in a rally called by the February 20 Movement in Rabat after a fishmonger in the northern town of Al Hoceima was crushed to death inside a rubbish truck as he tried to retrieve fish confiscated by police (Stringer/Reuters). Ted Purinton and Allison Hodgkins argue that the Middle East needs to invest in the liberal arts as a way to foster a productive citizenry and combat violent extremism. 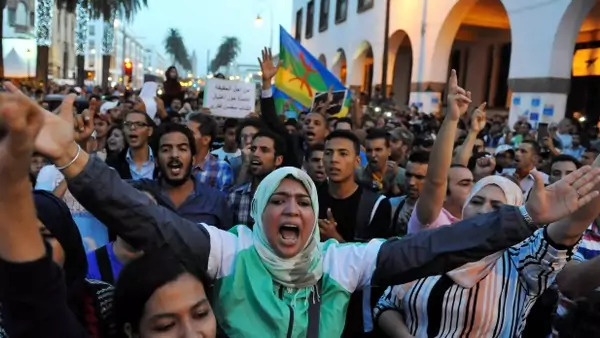 Sean Yom, writing before the recent wave of protests, discusses the weaknesses in Morocco’s supposedly durable authoritarian system. Ramez Dagher traces the steps that led to the election of Michel Aoun as Lebanon’s head of state and the resolution of the presidential crisis.